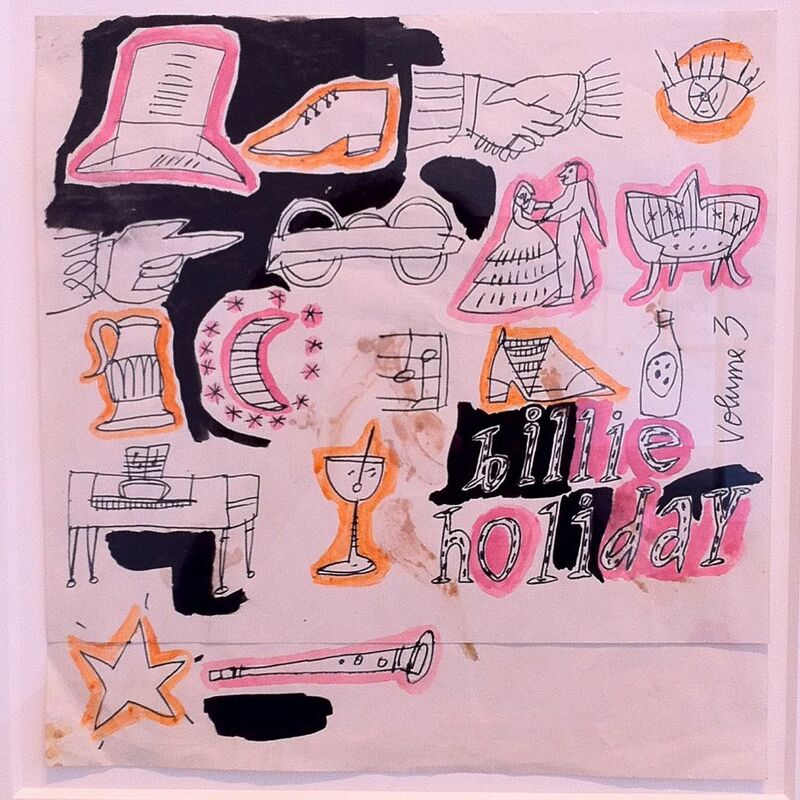 Early Fifties Warhol made some sketches – at least three are known – for a Billie Holiday record cover, that unfortunately has never materialized. On all drawings is mentioned ‘Volume 3’. One drawing has Lady Day and her musicians represented with so called ‘sprite faces’, similar to the Latin Rhythms EP. Two other drawings consist of a collage of little scenes, a bit reminiscent to a book cover Warhol did in 1953: Who Cooked Mother Goose. Wouldn’t it be a great birthday present if Sony Records / Columbia Legacy released this record as a vinyl 4 track EP with the Warhol cover? I for one would be very happy with that. The collage with black, blue & pink is printed in the book Andy Warhol – Drawings and Illustrations of the 1950s (DAP/Goliga Books). Update: this drawing belongs to the collection of The Andy Warhol Museum in Pittsburgh, says chief archivist Matt Wrbican. The collage with orange & pink was on show at the Robert Miller Gallery (New York) in 2011. I found this information on the blog of Olivia Feal. 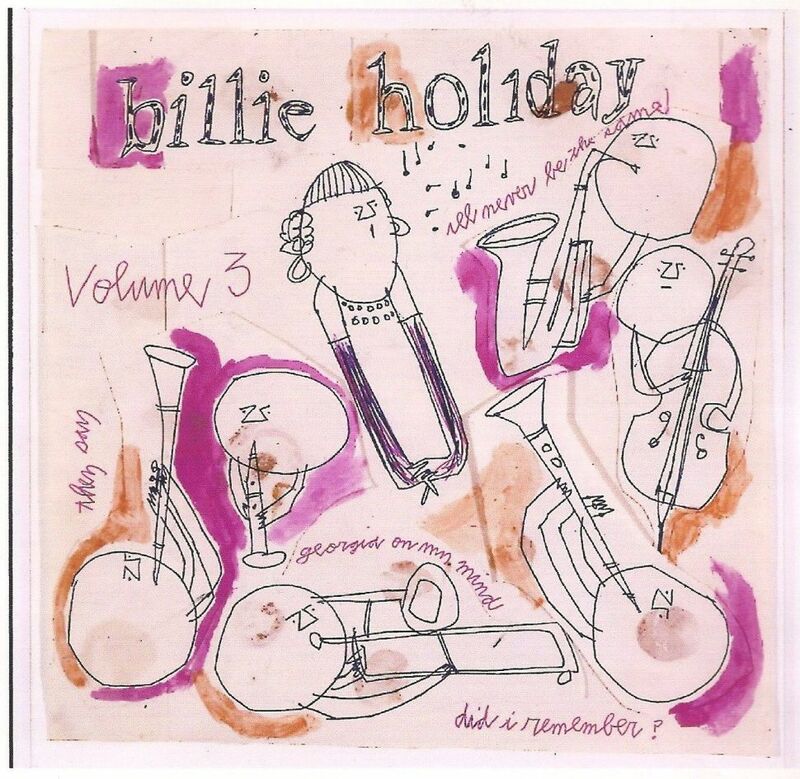 Update: a fourth version for Billie Holiday, Volume 3 was included in the exhibition Adman, Warhol Before Pop. Great, Guy! The drawing with a lot of black is from the Warhol Museum collection, in Pittsburgh. Thank you very much for this information, Matt! These are fantastic! I’ve never seen these before. Thanks so much for sharing. Fantastic post Guy, would have made an awsome cover indeed. And i love those sprite heads. Thanks for sharing the drawings, the third one was very interesting with quite similar objects and coloring as “mother goose”. There really is SO MUCH that i havent seen or learned when it comes to all this. Keep it up! Great post, Guy. 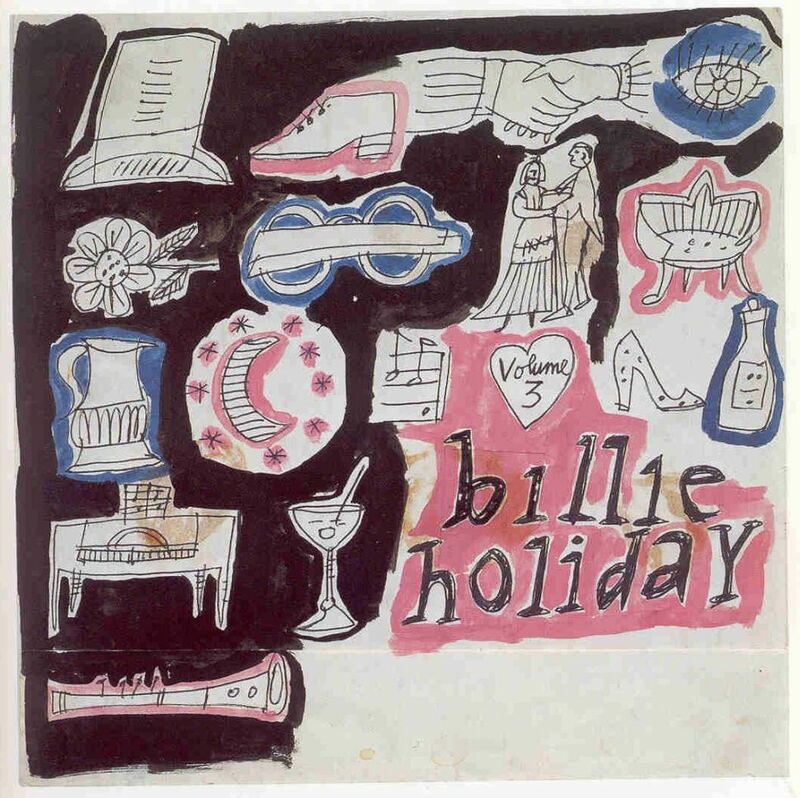 The unreleased cover drawings for the Billie Holiday record are amazing. Thanks for sharing!